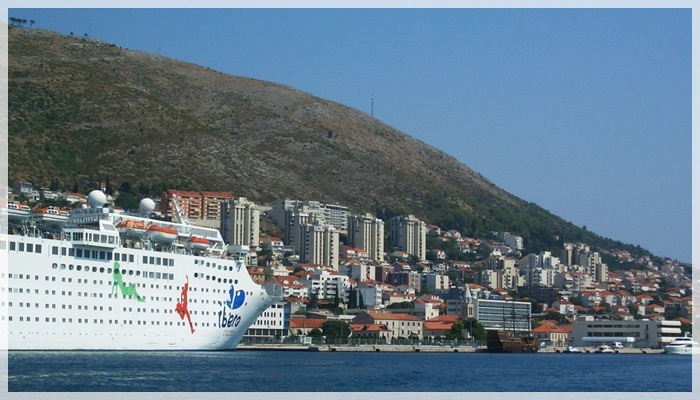 There is a car ferry sailing from Dubrovnik port to Sudjuradj, the main port on the island of Sipan. Sudjuradj is connected by road to Sipanska Luka, other village on the island. This ferry runs regularly throughout the year and is the only car ferry between Dubrovnik and the Elaphites. Ferry stops on Lopud on some sailings. Beside this car ferry there is also Jadrolinija's boat from Dubrovnik that stops on Sipan all year round. In addition, the 'Nona Ana' catamaran runs from Dubrovnik to Luka Sipanska frequently in the summer. Tickets for this ferry route can be bought either at Jadrolinija office at Gruz port, also at Jadrolinija stalls on one of the islands or online.